The BC SPCA East Kootenay Branch is excited to announce that more than 250 cats have been spayed and neutered since launching a no-cost spay/neuter program for Cranbrook residents last June. The program is funded by a grant from PetSmart Charities™ of Canada to address the city’s cat overpopulation crisis, a province-wide issue the BC SPCA continues to address in its Strategic Plan. “We are excited to see that this program is already producing results. Our shelter’s stray cat intake numbers in January and February were much lower in comparison with 2015,” says Brenna Baker, BC SPCA East Kootenay Branch manager, and notes many cats have been fixed under the program that would have likely never been spayed or neutered due to the cost barrier. Baker estimates that if the cats had not been sterilized, they could have produced between 60 to 100 kittens during the spring and summer months, a huge burden that would ultimately have been placed on the shelter. 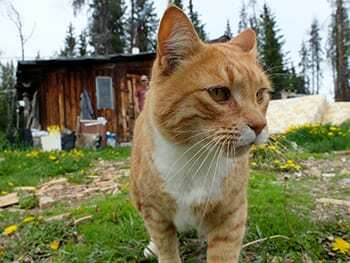 Cranbrook has a large population of outdoor-living cats, and the grant goes toward sterilizing cats that would otherwise be left to reproduce, as well as assisting families and individuals who are unable to spay or neuter their pet due to financial constraints. The BC SPCA would like to thank PetSmart Charities™ of Canada, Steeples Veterinary Clinic, Tanglefoot Vet, Cranbrook Veterinary Hospital, Kootenay Vet Clinic, NorthStar Vet, B-104 Radio, and the City of Cranbrook for their support and participation in making this project successful. For more information about this program or to make an appointment for your cat, call the BC SPCA East Kootenay Branch today at 250-426-6751.